I launched my first Web site in 1995. A tribute to the military service careers of my father and grandfather, my Military Tributes site has undergone a couple of revisions but is still up and running. For several years, I ran a small home-based business, Whaley Computer Consulting, and designed sites for several clients, including Pepsi, Jim Woods Realty & Auction Co., Realtor Ed Entrekin, Region 6 of the Tennessee Pest Control Association, Apache West Apartments and aerial dancer Alicia Schultze, who was a dancer on one of rock and roll legend Mötley Crüe's tours. In October 2008, I accepted a programming position with iostudio in Nashville, Tennessee, where I am currently a programmer on a development team that focuses primarily on the Army National Guard's Path to Honor recruitment system. In addition to object-oriented PHP, MySQL and XML, my team utilizes SOAP, Jquery and the Zend Framework within an MVC environment. We also strive for an Agile Software Development atmosphere and conduct daily Scrum meetings. For the summer of 2010, I redesigned the Pepsi Fireworks site with improved CSS and Jquery functionality. In early 2011, I finished a desktop RIA (Rich Internet Application) for TuneVault developed with Adobe AIR technology and sites for Western Hills Apartments and Al Cloyd's Custom Golf. Be sure to check out my updated portfolio! 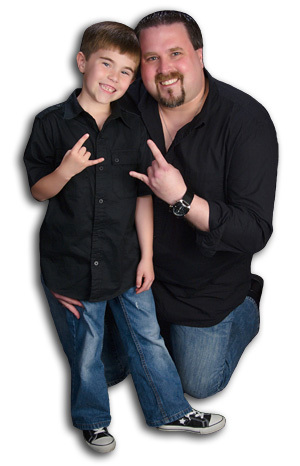 When I'm not programming, I enjoy spending time with my incredible and awesome son Jacob, family and friends. I also try to balance time between writing a book on my grandfather's infantry division during World War II and playing guitar. While you're here, be sure to visit all of my favorite sites via different links in the footer of each section of my new site. You will find them under the Favorites column. Copyright © 2019 by Vincent Z. Whaley. All Rights Reserved.